If your goal for 2018 is to own your house, we've got great news for you! You could own a brand new house by saving just 500,000 Naira! 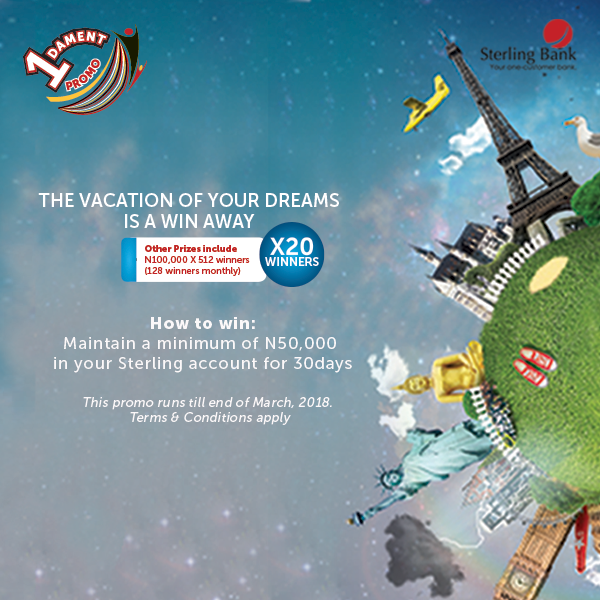 … There is something for everyone, all you must do is start saving as little as N10,000 to be a part of this superb promotion. 1. What type of Accounts qualifies for the Sterling Savings Reward Scheme? Only Savings Account types are eligible except SRDA and KIA KIA Savings accounts. 2. What conditions must the customers meet to be eligible for the promo? if you meet the minimum qualifying criteria for any of the categories, you get a ticket for the draw i.e. N10,000 gives you one ticket for the N100,000 prize. 4. Will the Bank issue a VISA for the winners of the Holiday Destination and the Football events? 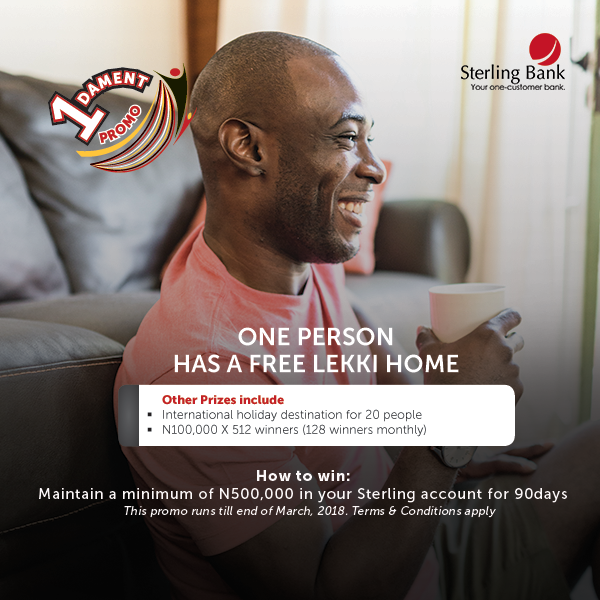 If you deposit more than the minimum qualifying criteria such that it is divisible by the deposit, then you have multiple tickets and have increased your chance of winning. i.e. N20,000 gives you 2 tickets and doubles your chance of winning. NO, the Bank will not be responsible for VISA processing for winners. However, it will formally communicate the winning to the relevant Embassy to aid processing. 6. How many days does it take to be credited when a customer emerges winner during a draw? 7. If a customer who emerges a winner is out of the country, what happens to the reward? He/she will be credited and funds blocked pending when the terms and condition document is executed. 8. What happens if a customer rejects the reward? Promo valid from 1st December 2017 till 31st March 2018.